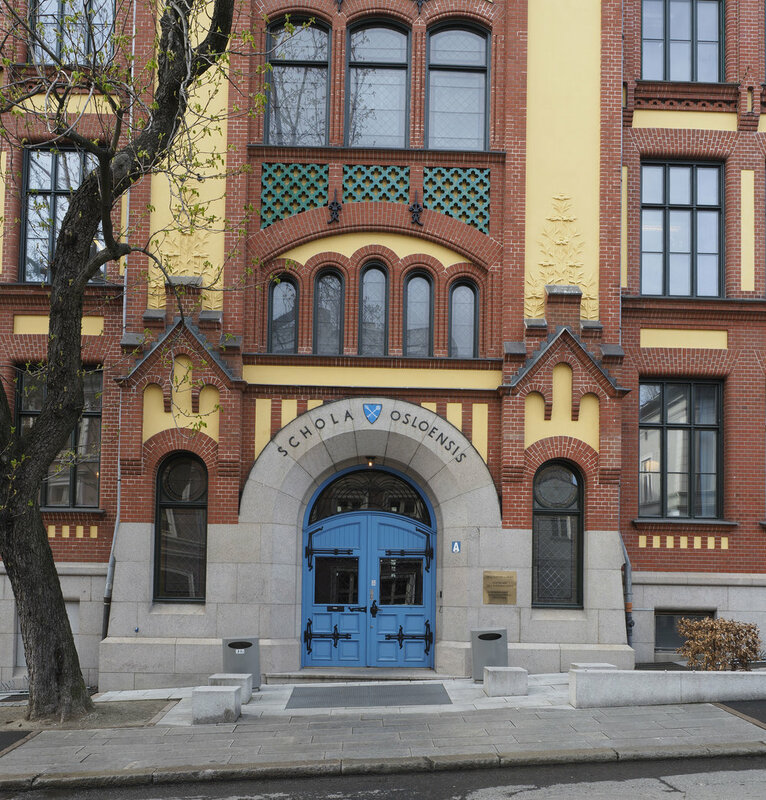 Oslo Cathedral School is both an institution and a landmark in Oslo. The building is protected as historically and culturally significant and has a stately façade. 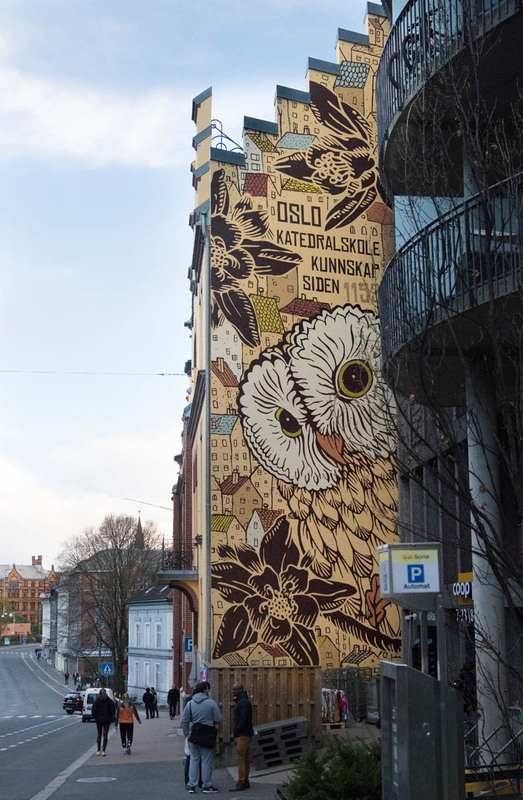 To market the school in an appropriate way we obtained special clearance from City of Oslo Planning and Building Services to create a large scale mural on an adjacent wall in Ullevålsveien. 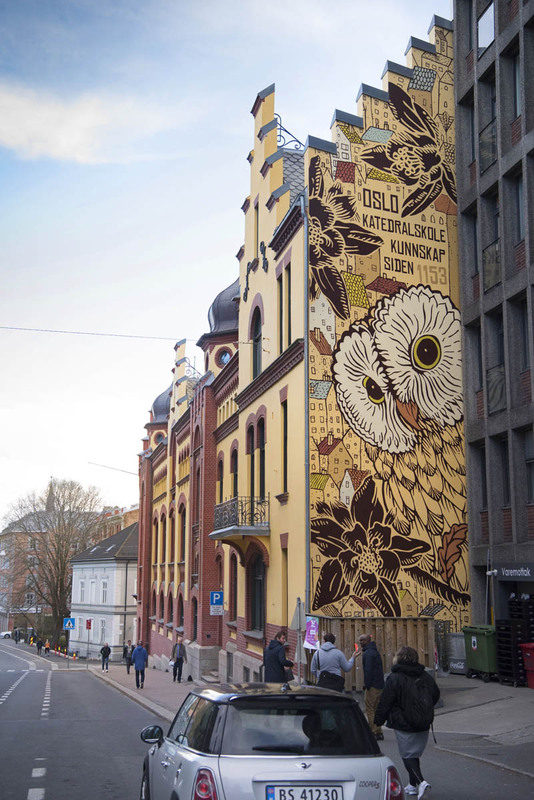 This presented a unique opportunity to create a visual reference to Oslo Cathedral School´s location and long heritage dating back to 1153. With a wise oversized owl we created a visible symbol that attracts attention whilst the colour palette we selected references the rest of the school building. Permission was granted to Fablab Design for the façade because the city authorities viewed our proposal as an enhancement of the urban space. We are proud of that.